With Copa Brasil, Sada Cruzeiro wins its 33rd title since 2010. A team that reinvents itself each season, seeking the first place at the podium, aware that achieving this goal was a result of great teamwork. 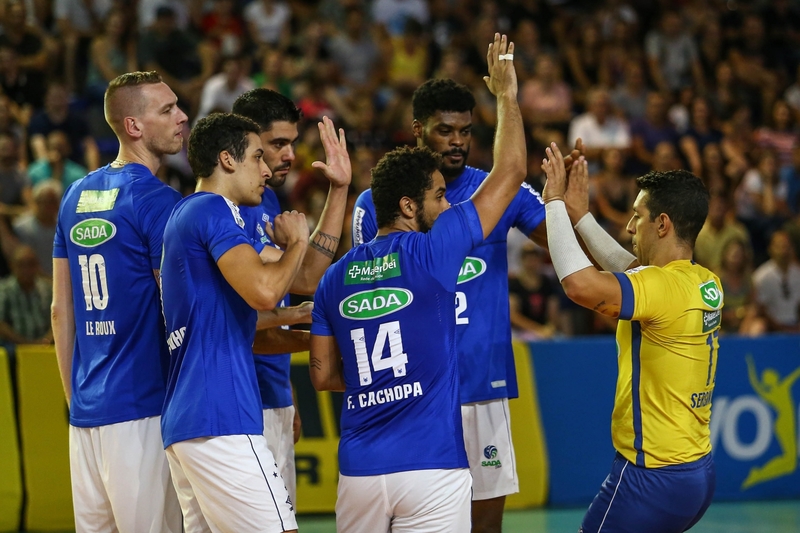 Sada Cruzeiro continues to extend its incredible records. The Copa Brasil trophy, conquered by the blue team on Sunday, January 27, in a 3-0 win over Fiat Minas, was precisely the 33rd trophy won by the team since 2010. The team played 38 finals out of the 43 championships they participated. The numbers are impressive for a team that has already written its name in the history of both Brazilian and world volleyball. “We are always ready to fight. And most importantly, there is renovation, new players arrive, we can have the youngers from the base team play with the main group year after year and yet the team reinvents itself every day. The will to win is what prevails, regardless of how many titles we have already won. Sada Cruzeiro is the only four-time winner of Copa Brazil.”, emphasized the libero Serginho, who has participated in all these conquests. “The challenges are different each year, but what remains with this team is the will to win, to do our best, regardless of the difficulties. It was a great championship, an important achievement. Two consecutive champion titles in Copa Brasil. We will remain focused during the season as we still have many games to play.” Said Vittorio Medioli, president of Sada Cruzeiro.